This most recent Ambush and pre-planned attack on Dallas Police really displays the lack of adequate Armor being actively worn or even available to our "Uniformed Patrol Officers" whom are always first on scene. This is a catalyst event and the pre-planned attacks on us WILL continue. These Ambush style attacks are being carried out by a variety of shitheads armed with a variety of long guns that the current "standard issued" concealable armored vest IIIA is just not capable of stopping the rounds. Being outgunned and out protected by the suspect you face is just NOT an option and is NOT acceptable anymore in Law Enforcement. OSS is a For Cops By Cops Company founded in 2009 by Marc Barry after his friend and former partner lyed in a suspects driveway and bled to death as a result of 7.62 rounds. OSS is comprised of all very seasoned veteran Police Officers and Special Operations Combat Medics that have been operating in some of the deadliest conditions on the planet. We have all come together and use our combined real-world experience with one goal in mind "SAVE OUR OWN"! This OSS Rapid Deployment Armor Package is built around a set of OSS NIJ Certified 10x12 Stand Alone, Multi Hit, SAPI Cut Single Curved, Advanced Armor Plates weighing in at only 6.9lbs each. These plates are most commonly used by tactical units world wide for their unsurpassed protection level against all 7.62 and 5.56 armor piercing rounds. 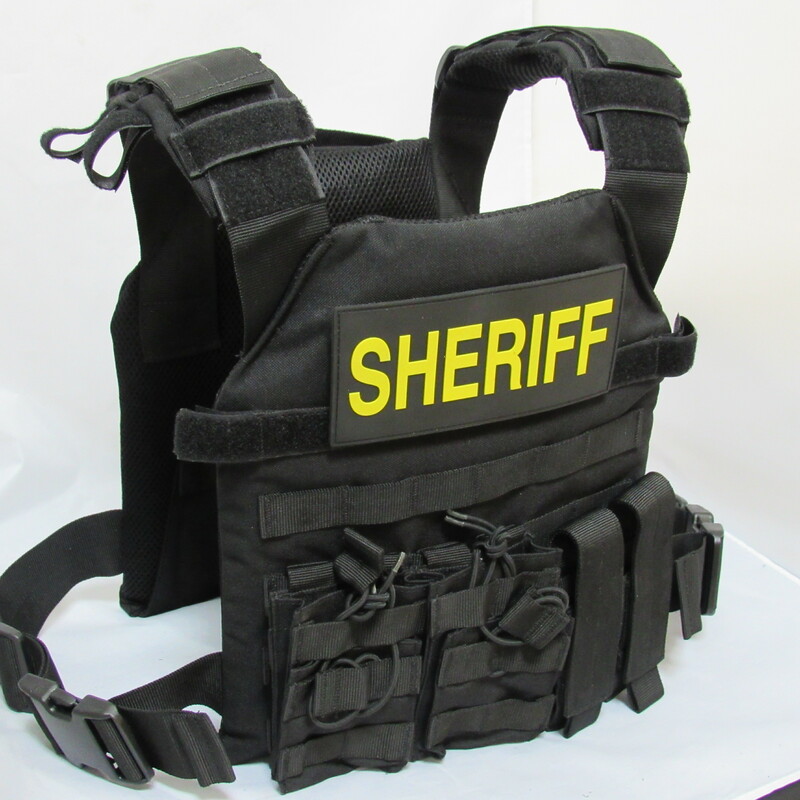 The platform is a Rapid Throw and Go Carrier that is designed for Patrol Officers, Field Agents and U/C Detectives in mind, that need a rapid deployment armor system for Active Shooter Response or doing jumpouts and buy busts. The avegarge officer can deploy and secure this rig in under 7-16 seconds and it can be adjusted instantly with one hand. It is secured by two side straps attached with adjustable 2 inch side snap buckles and has a enhanded comfort due to its high density foam shoulder padding and tabs to secure comms wiring or hydration tubes. This is by far one of the most comfortable rigs wether your assigned outter perimeter for hour or actively searching for the suspects.
" Society has changed and if we dont learn to change with it, we will continue to die in its path!" Package Includes:1- Rapid Deployment Armor Plate Carrier: (4) row MOLLE pattern to load with any pockets or pouches you may need, such as; patrol rifle magazine pouches, extra pistol magazine pouches, extra handcuffs, utility pouch or any grenadier pouches. It is made of extremely rugged and versatile yet lightweight 1000 Denier Nylon, 2 inch side adjustment buckles for rapid deployment, (2) 10x12 armor plate pockets with hook and loop closures with easy access handles, adjustable shoulder straps, shoulder pads and multiple hook and loop tabs to secure any comms wiring or hydration tubes. 2- OSS Level IV NIJ 010.01, Multi Hit, Stand Alone ,10x 12, SAPI Cut, Single Curved Advanced Armor Plates 6.9lbs and neutrally buyoant.